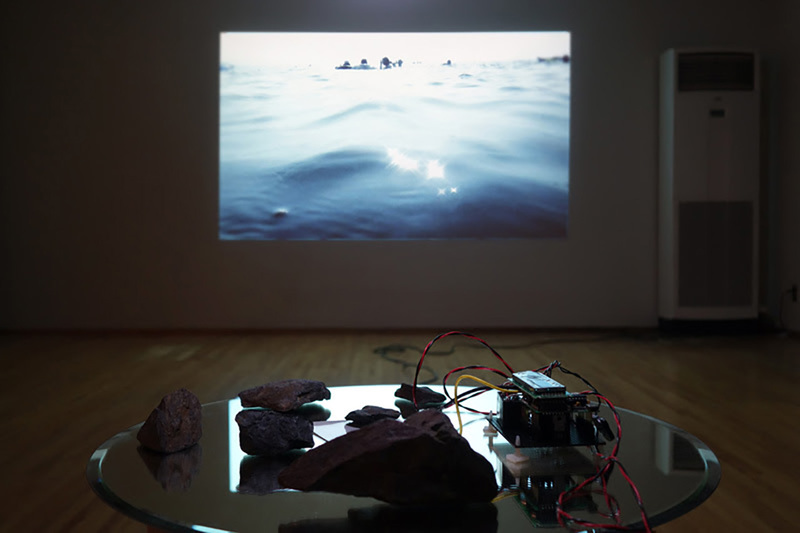 2014 / HDvideo 6min, Geiger counter, etc. 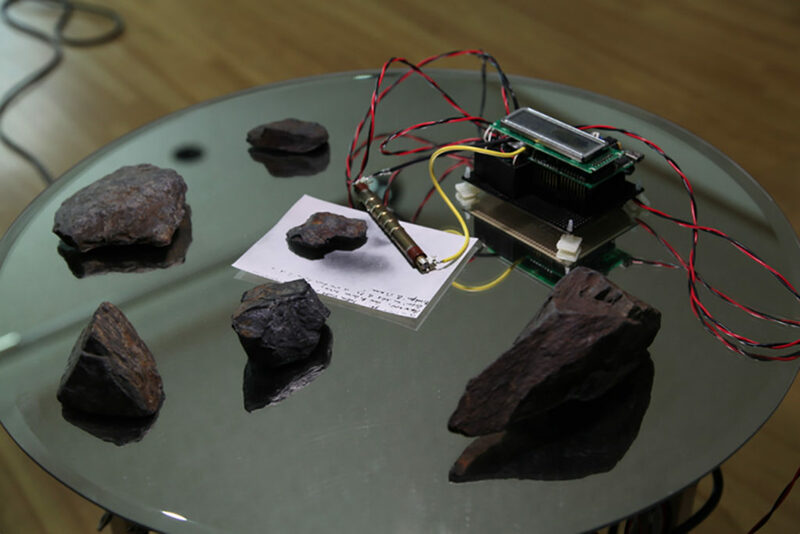 This is the installation work to show the social situation by assembling natural things such as ocean and stones. The noise of geiger counter, which is reaction of the radial rays from ore, disturb the sound and voice of the sea bathers, and it comes to threaten sound. 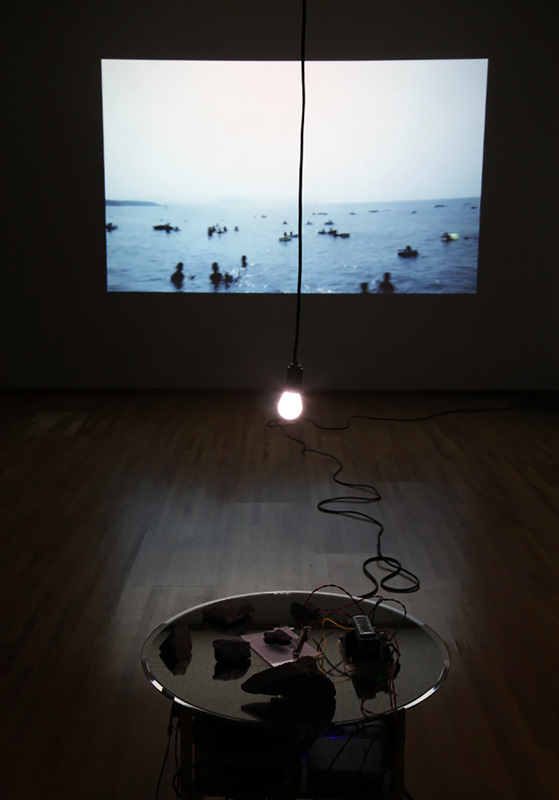 The radical rays were discovered by photographic technique, so this video installation is strongly related with his photographic works.